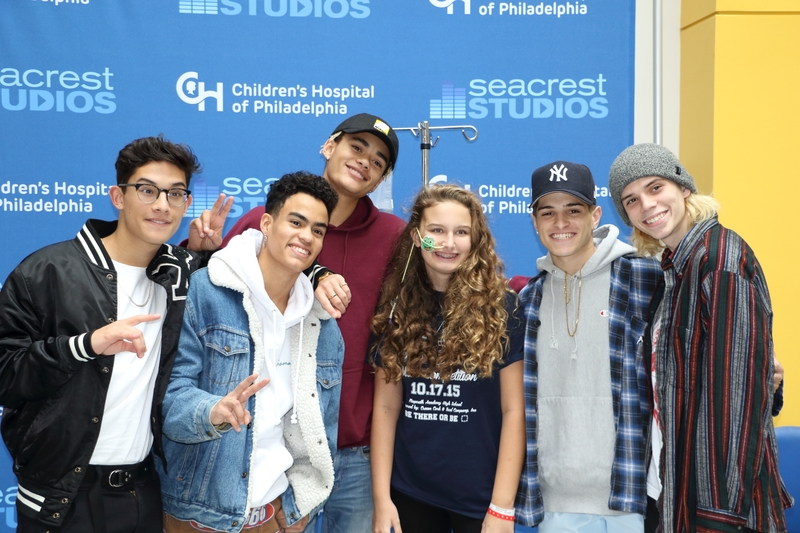 Children’s Hospital of Philadelphia welcomed the amazing boy band known as PRETTYMUCH to Seacrest Studios. With their top notch harmonies and amazing good looks, PRETTYMUCH was an instant hit with the patients and families of CHOP. The group sung an acapella arrangement of R&B and Pop songs and showcased just why mogul Simon Cowell chose these guys to create the next big boy band. Brandon, Edwin, Zion, Nick, and Austin shared how they all live in one house in LA. Even after being whisked away to live together for over a year, the group said they love every minute! The guys said that they are more like brothers and they do PRETTY MUCH everything together. To end their visit PRETTYMUCH took pictures with patients and their families and signed a few autographs. Children’s Hospital of Philadelphia and Seacrest Studios thanks PRETTYMUCH for visiting and spreading joy to our patients and families.